It was the spring of 2012, students flooded in and out of classrooms hunting teachers for assistance with exam preperations and coursework. The ‘curious’ lot, as one of our professor’s aptly put it, was busy taking on extra courses for the last semester of high school. That was when I opted for the art history course and fell in love with it instantly. The romance was short lived – the course only lasted two months. But during those two months, we travelled from Egypt to Mesopotamia, from ancient Greece to the sub-continent, and basically everything in between. It was the course, the animated talks about ancient civilizations and the long hours of research and sifting through reading materials that first prompted me to travel and discover them for myself. 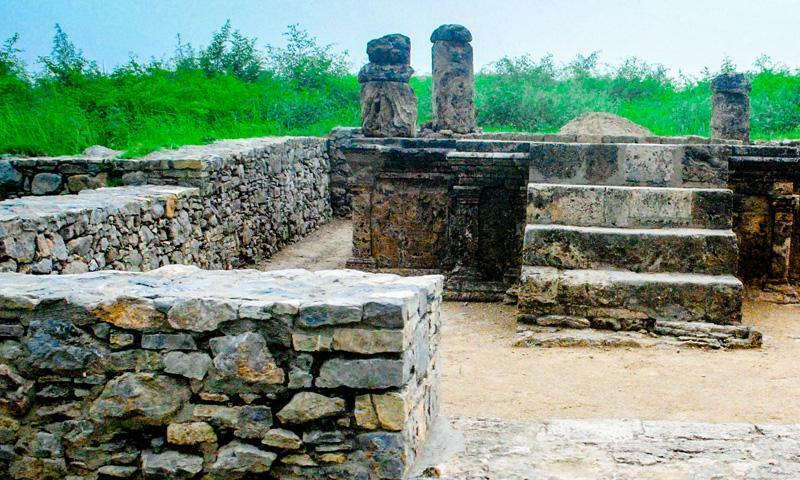 My travels took me to the sacred sites at Taxila – a lost land and age, forever reminiscent of a burgeoning cultural heritage. Shrine of the double headed eagle. 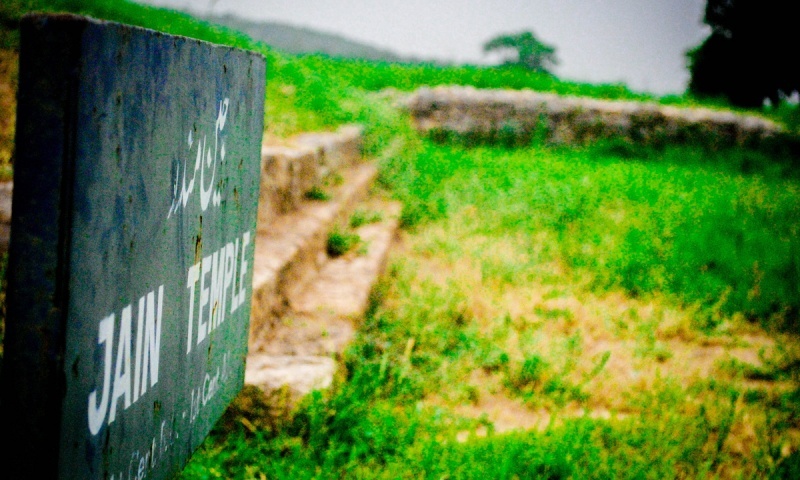 Sirkap is Taxila’s second major city. 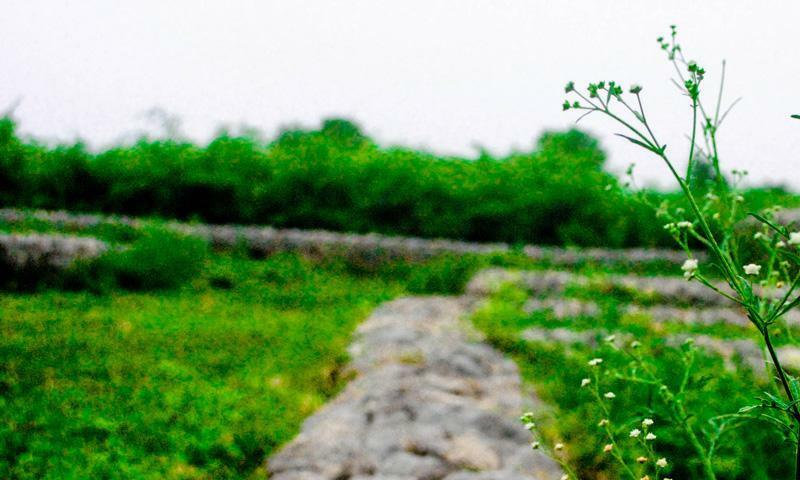 Stretching for miles, tall green grass grows between the rubble that once marked a five kilometre long fortification wall with a tall acropolis along the defence lines. 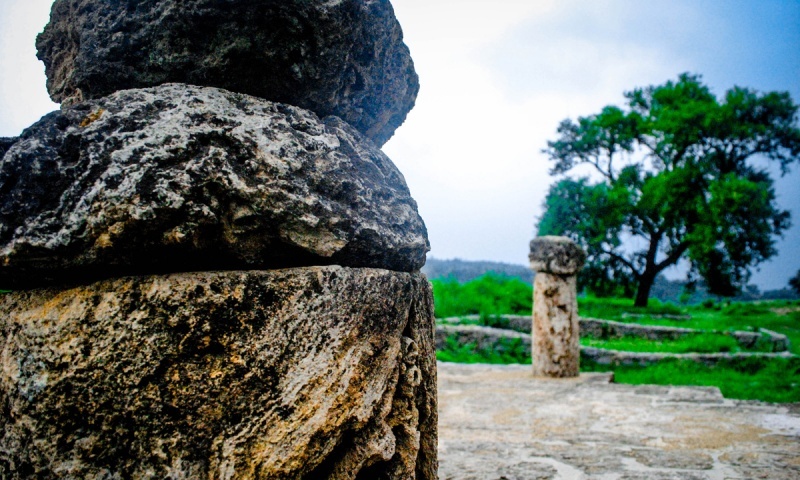 The Jain Temple is a sanctuary built around a stupa, perhaps for pilgrims of that time. 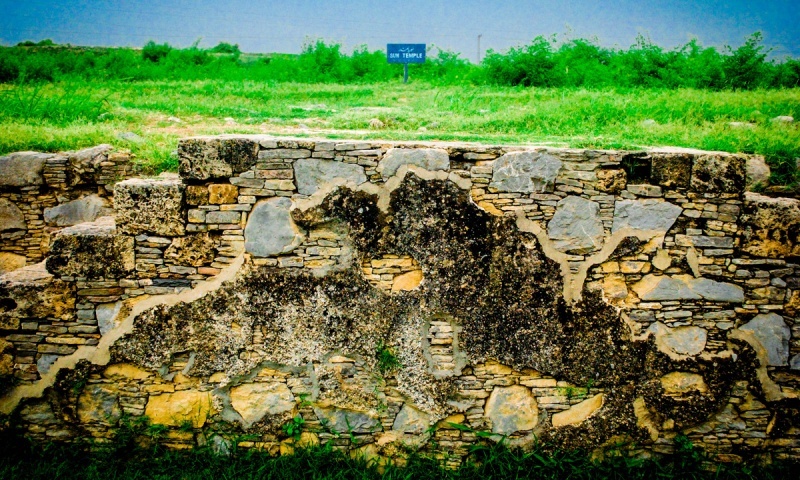 It now lies buried under grass and dirt, with rubble walls outlining its silhouette. 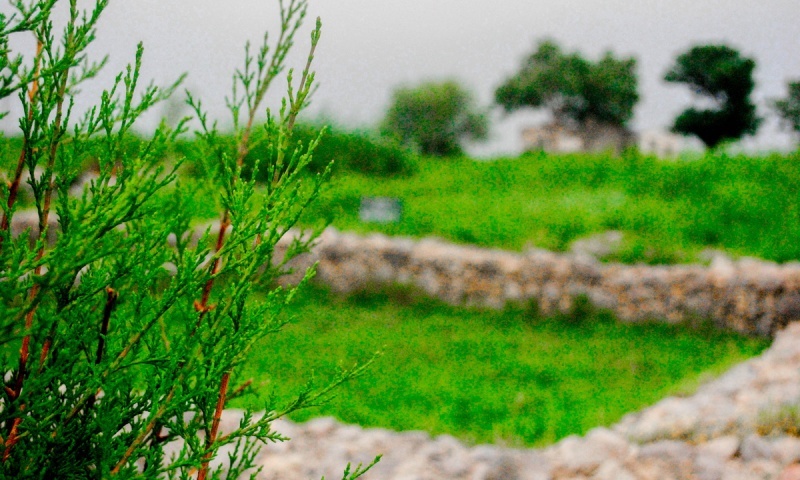 Sirkap’s picturesque beauty and its lush green grass contrasts with piles of rubble that narrate the story of the once mighty city of Takshashila, With a history of constant invasion, Taxila was finally decimated by the Hun Empire. 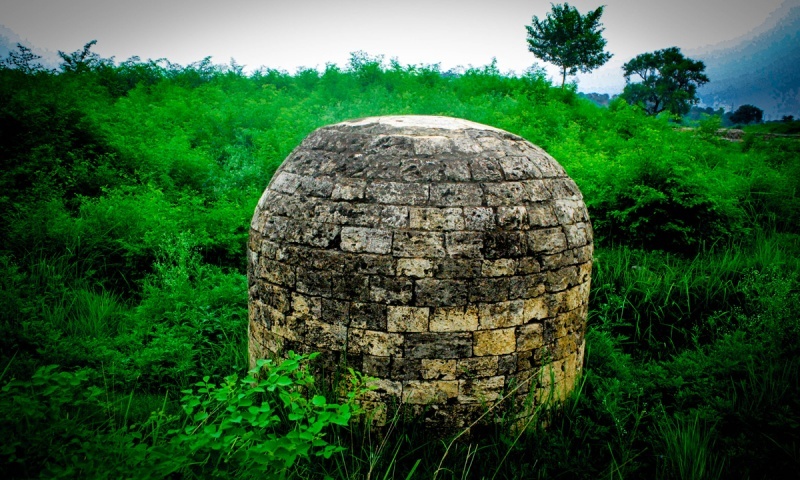 The only relics of that age are the artefacts excavated from the Bhir mound, Sirkap and other sites. The influence of Greek architecture is most evident in the Shrine of the Double Headed Eagle. Four Corinthian columns stand tall and proud on the stupa, with fierce eagle heads staring at us. 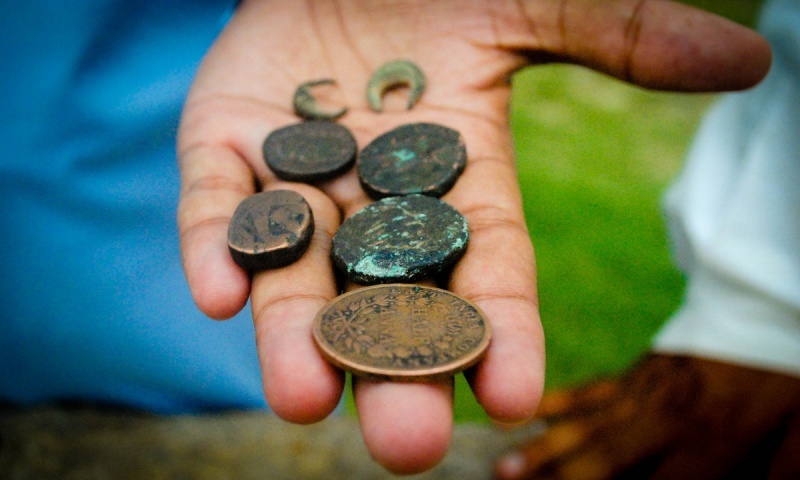 My travel companions, two Australian and three Pakistani tourists (including myself) had to dodge artefact ‘dealers’ who possessed, whether fake or authentic coins, pottery, mini-sculptures and other small crafts at various stages. Those who enjoy collecting souvenirs, however, will be spoiled for choice. The city’s symmetrical pattern was born of the Greek Hellenistic period. 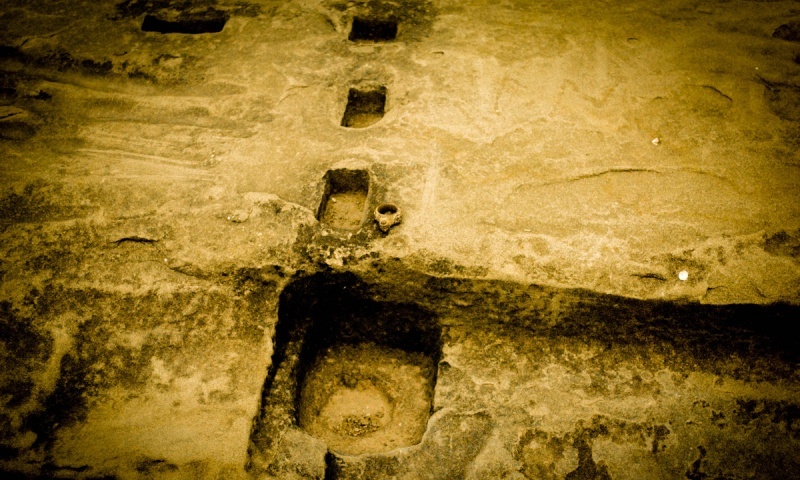 We were in awe at the prowess and intelligence of the world’s earliest known architects. Apollonius (44 AD) drew a parallel between Sirkap’s planning with that of Athens during his travels and added that it was the size of Nineveh, Assyria’s conspicuous capital. And it is not only the architectural finesse of these places of worship that is bewitching. My companions and I were stunned by the Sun temple – one of the most ingenious creations of its time. 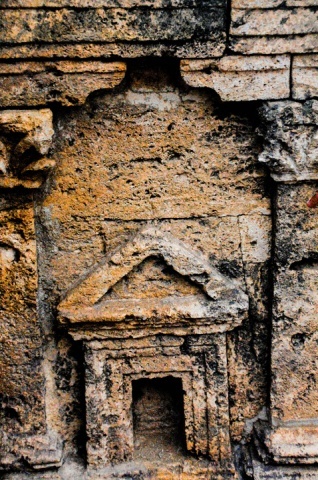 Inhabitants of Sirkap could tell the time by shadows that the sun dial would cast at the temple. “These are Buddha’s footprints,” explained the tour guide with a pronounced reverence and respect as we approached the end of the settlement. “It’s sacred – this place, everything about it,” he added with a nostalgic smile. 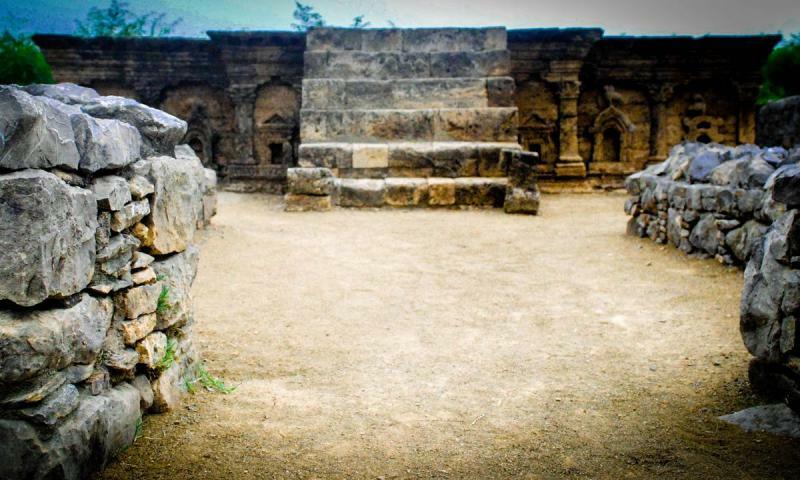 With the abolition of the Ministry of Tourism in 2011 under the 18th amendment, Sirkap ruins have been wholly abandoned by the provincial government responsible for the site. 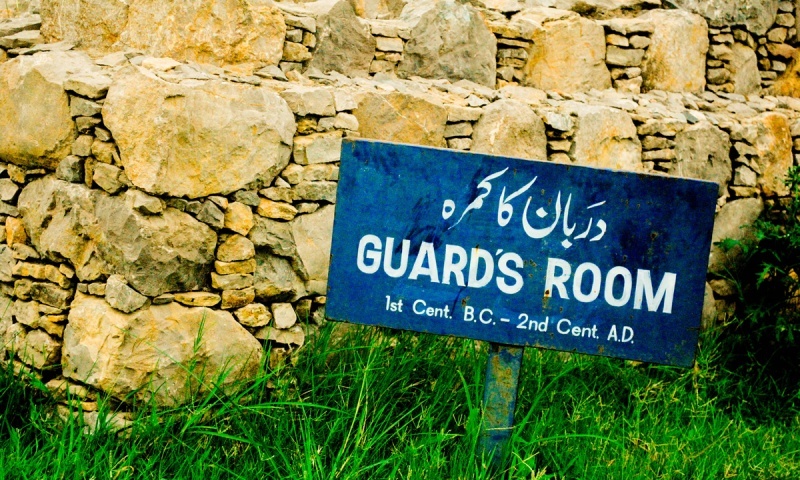 Sirkap, like Taxila’s other sites, has suffered from neglect by the government which is still facing administrative difficulties, following the shift of federal ministries to provincial control. 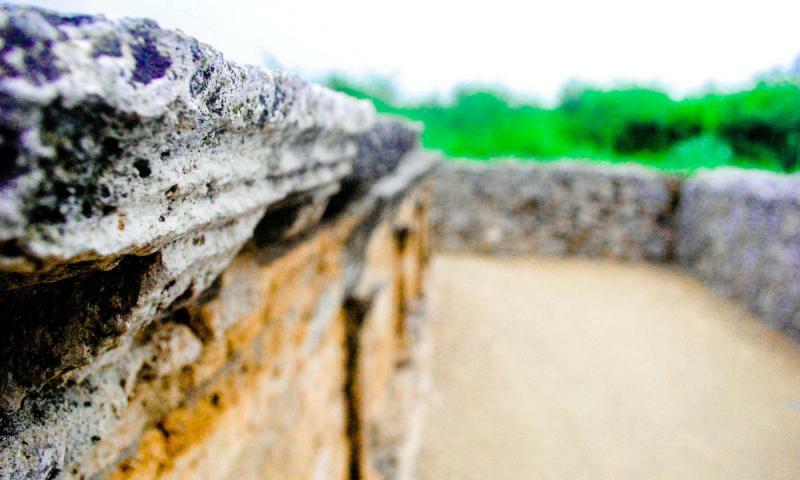 It is heart breaking to think that a part of the world cultural heritage – a heritage shared by all peoples of the world – is left abandoned and forgotten. 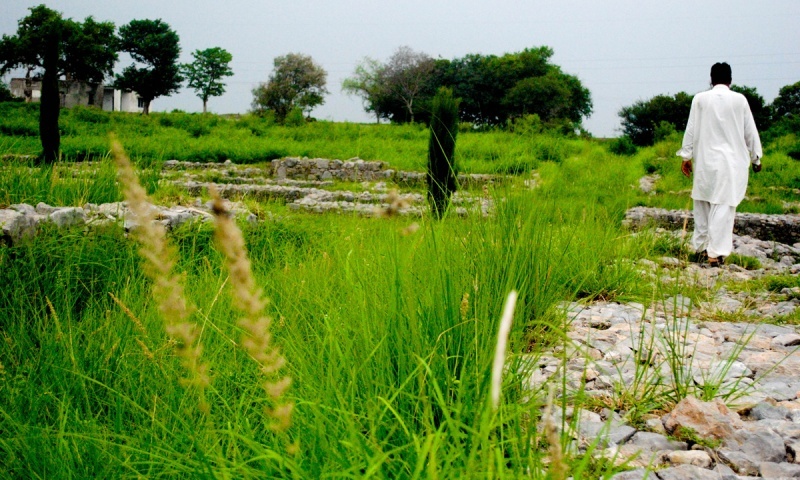 Whether it is unkempt grass, delayed salaries for tour guides or lack of conservation/preservation efforts, Taxila ruins’ ruin, in every sense of the word, is a serious blow to tourism in Pakistan. THANKS FOR NICE INFORMATION AND PLEASE PLEASE RESPECT OUR PAST. WE ASIAN HAVING SAME BLOOD DONT FORGET IT. Universities established by Buddhists are among the oldest in the world (Taxila, - Takshashila- being the oldest) and stretch from today's Pakistan through India (Nalanda) to Bangladesh (Paharpur). We talk about partnerships when it comes to trade and sports all the time. 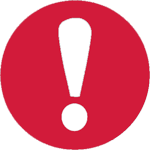 Why not partnership on maintenace of heritage (sites)? The Archaeological Society of India has done a wonderful job at Nalanda and Bodhgaya - both of which get a decent number of domestic and international number of tourists. @ANIL KUMAR: Asians have same blood?any supporting arguments? The best thing will be for locals to develop this place themselves and make them worthy of these sites. If you develop these places, believe me lots of tourists will come and your life will be enriched. You should not wait for the Government to develop - form a committee, and apply to the Government to develop these places so you can enjoy the benefits. I think, it is a part of pakistan's history, it should be safeguarded at all costs. @ANIL KUMAR: U r 100 percent right!!!!! First of all the name is not Taxila the real name is "Takshashila" There were two Universities in Nalanda in Bihar and Takshashila in NWFP of Ancient India 200 BC. These two Universities are the Oldest Universities of the World. These are destroyed by invaders and burnt all books some books had been saved by some Hindus of that time. Chanakya was the Pradhyapak (Professor) in Economics at these Universities during Chandra Gupta Maurya. @Dahir: not a bad idea as long as it can be preserved, but never expect back that Muslim artefacts will ever be given to your country as you cant maintain that due to magnitude of intra faith animosity you all harbour....isnt it? 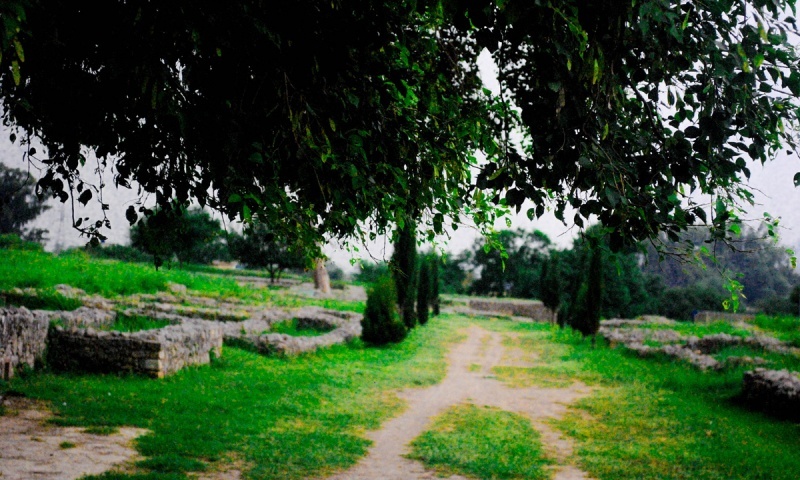 My first visit to Taxila was in 1995. And since then I have visited this site almost 9+ times. Unfortunately we as a nation do not cherish our culture, our heritage. We ruin it. When first time I visited Dharmastupa, I had to trek over a pond, skip over stones, go through a field, and on all sides were lush green fields and farms. Even had to jump off the trek to give way to buffalos. Now they have made a concrete path away over the pond, all the way to the Stupa. And some of the lush green fields have converted into housing colonies. In the next 50 years, I am sure there will ba big shopping mall over these site. Pakistan must understand that world predates before Islam.. Please don't look at it through the lens of religion, its the cultural heritage of pre-Islamic Asia. If you want to ignore it as anti-Islamic then please do so but please, please, please DO NOT BOMB IT. The poison of religion makes people turn their backs on their culture and heritage.